Bearing the name of a powerfull vicounty reigning over the Limousin, Périgord and Quercy, Turenne has kept numerous signs of its past. 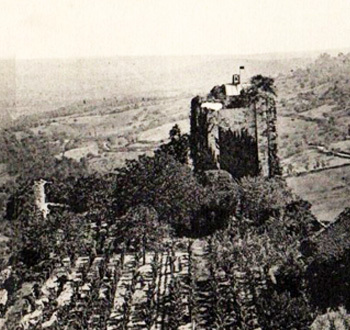 From the top of its promontory from where you enjoy a remarkable view as far as les Monts d’Auvergne and the Marches du Midi Toulousain, the citadel sat enthroned for more than seven centuries until it was transfered to the Crown of France in 1738. The history of the vicounty is exceptional as, thanks to its many prerogatives, it has enlarged an almost total independancy in consideration of the crown. 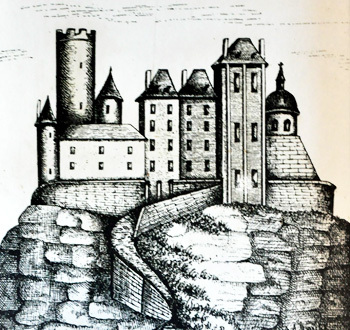 It has, under the Comborn, housed noble crusaders, benefitted under the Roger de Beaufort, Popes in Avignon, of powerful relationships, reached with the La Tour d’Auvergne, an international fame thanks to the great « Marechal de Turenne ». 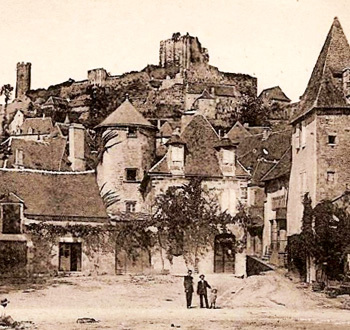 The Castle of Turenne, has been listed as Ancient Monument since 1840, renoved in 2016, and the barracks, dismantled after the selling in 1738, have given place to a beautiful « French » garden. You can buy postcards and historical maps at the ticket office.